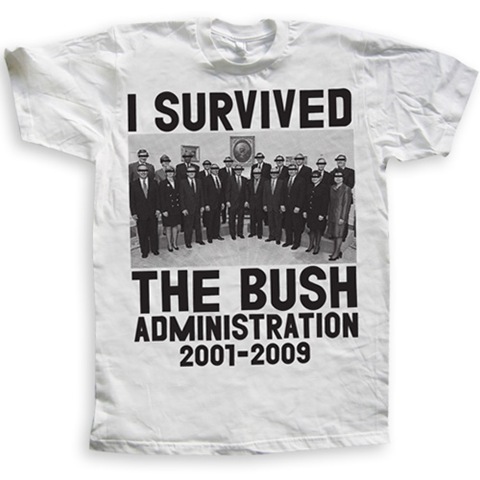 Who doesn’t love some bush bashing every now and again, and what better way to do it than to grab yourself an “I survived the bush administration T-Shirt” over at Print Liberation’s online store. This piece of historic Americana will set you back about US$16 and my god its definitely worth it! This is so awesome! I want one!